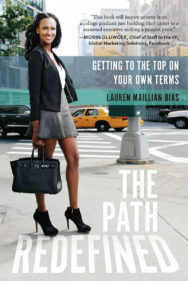 Lauren Maillian is a serial entrepreneur, named by Essence magazine to the Class of 2013 African-American Shot Callers. She is the Founder and CEO of Luxury Market Branding, a strategic marketing company, and is a Founding Partner at Gen Y Capital Partners, an early stage venture firm focused on investments in mobile and consumer facing technology-enabled companies. At 19, Lauren founded a boutique winery that quickly became an internationally recognized award-winning wine brand, making her the youngest self-made winery owner in the country. She served as the Chief Operating Officer of the company from inception through the brand’s acquisition in 2011. Lauren often speaks about entrepreneurship, female leadership, marketing, branding, business development, and early stage venture at various conferences and institutions including Harvard, Columbia University, Cornell, and the University of Virginia. She judges the Network for Teaching Entrepreneurship’s (NFTE) business plan competition and the incoming classes of Start-Up Chile, an incubator program in support of entrepreneurship sponsored by the Chilean Government. Lauren is an active adviser to several startups and is a mentor to the Pipeline Fellowship and the Women Innovate Mobile Accelerator. 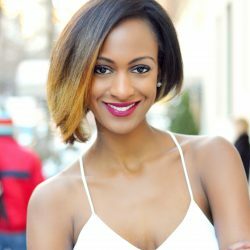 Lauren’s work has been featured in national media outlets including Forbes, American Express OPEN Forum, Fast Company, and Black Enterprise. In 2011, she was recognized at The White House by the Kauffman Foundation as an Empact100 Award honoree, the top 100 entrepreneurs under 30.